Are you interested in giving back to your community and gaining some valuable experience in the process? Then consider any of these volunteer opportunities for Veterinary Technicians. A monthly clinic serving low-income pet owners with preventive veterinary services, run by veterinary technology students from the University of New Hampshire’s Thompson School. Our clinic relies on volunteers to assist students during each clinic. 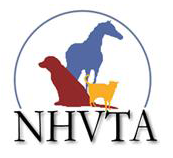 If you are a NH licensed veterinarian or a practicing veterinary technician who would like to assist, contact Program Director, Sarah Proctor at [email protected]. Volunteer veterinary technicians and assistants are essential to the success of the HSVMA-RAVS program. We depend on the many knowledgeable, compassionate professionals who generously contribute their time and expertise. We literally could not do it without your support. As a volunteer veterinary technician or assistant, you will work with HSVMA-RAVS staff and student volunteers in providing quality care to our animal patients and their families. Depending on your interests and experience, technicians are most frequently asked to assist with anesthesia and recovery, but may rotate through other areas of the clinic as well and your experience may include work in humane education, receiving and examinations, triage or critical care. There are opportunities for technicians and assistants of all backgrounds and experience levels. The New Hampshire Disaster Animal Response Team (NHDART) provides a coordinated effort in the preparation, prevention, response, and recovery phases for any disasters or significant public emergencies involving animals. NH-DART, a public-private partnership, increases New Hampshire’s capability for responding to animal emergencies on the local, regional, state, and federal levels. When an animal health emergency occurs, an immediate response is necessary to protect both animals and people. The United States Department of Agriculture’s (USDA’s) Animal and Plant Health Inspection Service (APHIS) will look to many sources to obtain the veterinary personnel needed to help meet the critical staffing needs of such an emergency. In 2001, APHIS established the NAHERC to respond to exotic disease outbreaks and other disasters which affect livestock, poultry, companion animals, and wildlife. More volunteers are urgently needed to assure a decisive response to any potential animal health crises. We’re a little different. We like to look at the big picture—healthy animals, people and environments world wide—but we start small. Sometimes, we start with one chicken, in Ilima, Tanzania. Or one goat in the tiny rural community of Mbarara in Uganda. Or the vaccination and sterilization of free-roaming dogs in a remote village in Guatemala. But the effects of our work—better nutrition for families, improved livelihoods, a greater number of kids attending school and lower incidence of disease—can make a big difference for the entire world. Healthy animals support healthy communities. Healthy communities can better care for kids, animals and the environment. Making small improvements to animal, human and environmental well-being is the core of ecohealth, our underlying philosophy. The positive benefits of ecohealth can be felt around the world. Small steps toward great solutions. That’s our big picture. World Vets develops, implements and manages international veterinary and disaster relief programs to help animals, educate people and have a positive impact on communities. Improving animal welfare and alleviating suffering are high on our priority list but our work extends beyond that. Our programs help to prevent the spread of diseases from animals to humans; our livestock programs help small farmers to pull themselves out of poverty, and our disaster relief efforts for animals directly impact people who might otherwise remain in dangerous situations if the needs of their animals are not addressed.